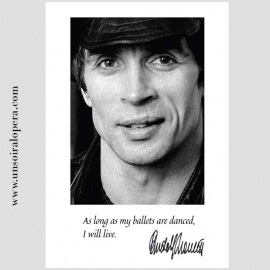 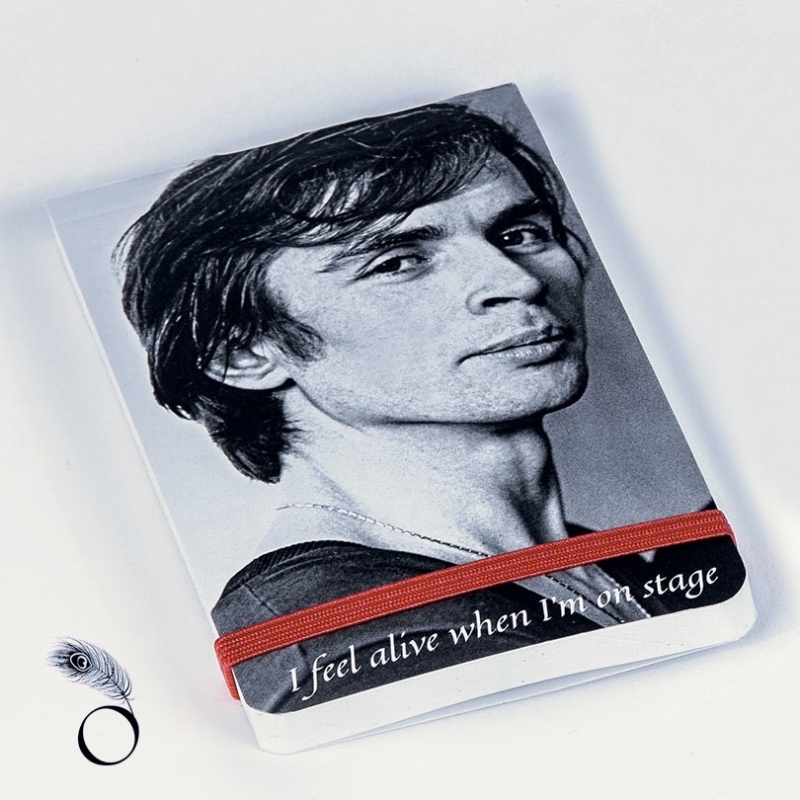 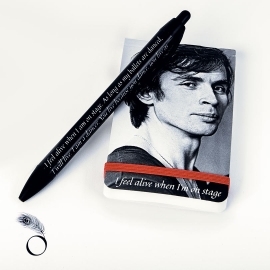 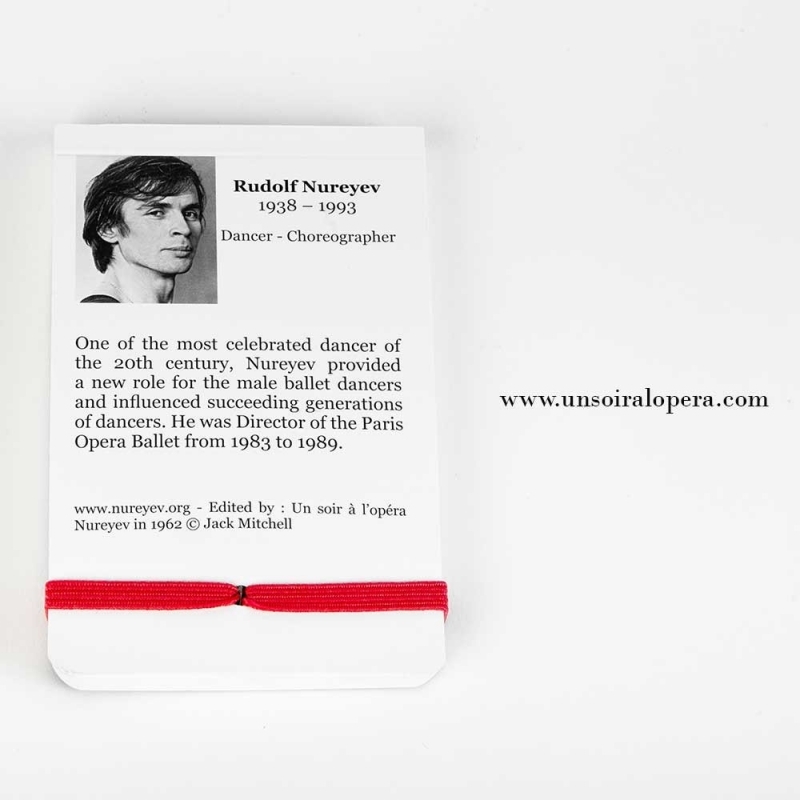 Original stationery for dancers - This handy notebook featuring the portrait of Rudolf Nureyev is perfect to write down the name of your favorite dancers or your favorite ballets or anything you need to remember. 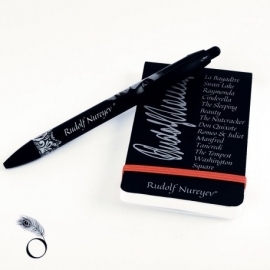 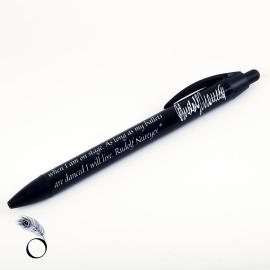 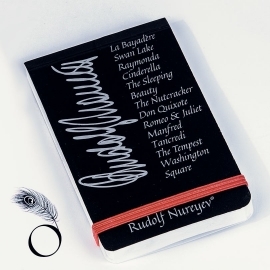 Pick your favorite original stationery from the Rudolf Nureyev Collection - Check out our e-shop and find beautiful gift ideas for dancers and ballerinas. 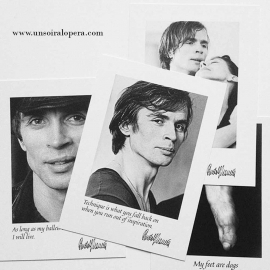 Rudolf Nureyev and classical ballet are a daily source of inspiration in everything we do. 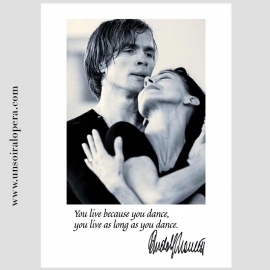 You will love our dance collectibles created in tribute to the wonderful world of ballet.